then I had problem with opencv (cairo.h and cv.h) so I downgraded my openCV as told in github. 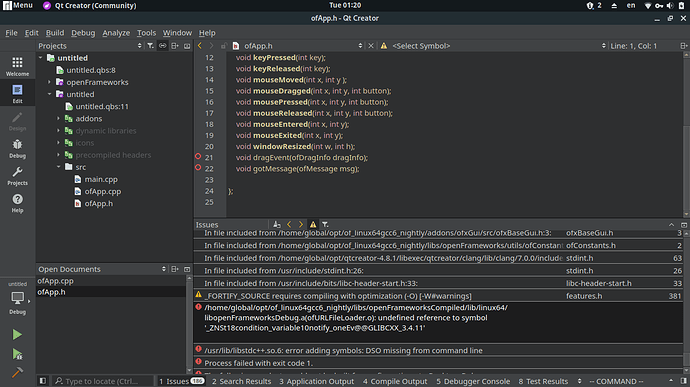 The thing is I’m unable to compile any project using qt creator. have you tried compile without Qt? and which directory you put OF? I have no issue with OF 0.10.1 on manjaro distro.